Bettertax - The Tradesman's Tax Refund Specialists Bettertax are committed to providing top customer service and achieving the very best tax refunds for tradesmen and construction industry professionals, whether CIS or PAYE. 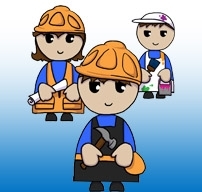 Tax Refunds, Rebates, advice for tradesmen, CIS or PAYE | BetterTax Bettertax are the Tradesman's Tax Refund Specialists, for CIS/ SE and PAYE construction workers. Our dedicated team offers great customer service and ensures you get the maximum tax refund you are rightfully due - whether that be tax claims on mileage using your own vehicle to get to temporary work sites or indeed the tools you have to buy to do your job.